Our people working for you. We provide the best possible service and value to our clients. Mr. Sandlin serves as the Manager for Engineering Services for Green Harbor Energy, where he leads the qualification of efficiency projects and certification of their energy savings. He is an Energy Manager, Energy Auditor, and Measurement and Verification Professional certified by the Association of Energy Engineers. He is a mechanical engineer by training, and brings more than 30 years of experience in increasing energy efficiency, reducing carbon emissions, and generating measurable utility contract savings and income for clients. Prior to Green Harbor Energy, Mr. Sandlin served as the Director of Engineering Services for the Clean Energy Markets Division of Nexant, where qualified the first projects for Energy Efficiency Certificates (EECs) in the states of Massachusetts, Pennsylvania and Illinois. He previously served as Global Energy Manager and earlier as Facility Manager for CIBA Vision, subsidiary of Novartis AG. 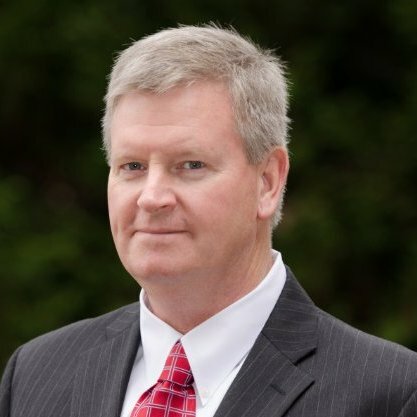 In these roles, Mr. Sandlin performed numerous energy audits and building retro-commissioning as well as implemented continuous energy efficiency improvement programs including, but not limited to, hot water boilers, compressed air delivery and chilled water distribution systems. In all, Mr. Sandlin has help certify EECs for more than 2 billion kilowatt hours of energy generation. Darrell’s expertise includes not only project qualification and certification of EECs, but also developing greenhouse gas emissions inventories, negotiating energy supply contracts, creating Certified Measurement & Verification Plans (CMVPs), energy management consulting, and construction and project management. Mr. Sandlin is an active member of the American Society of Heating, Refrigeration and Air-Conditioning Engineers (ASHRAE) and the Association of Energy Engineers (AEE). He has successfully earned accreditations of Certified Energy Manager (CEM) and Certified Measurement and Verification Professional (CMVP). Green Harbor Energy is an energy-focused environmental engineering firm with an emphasis on monetizing environmental credits, developing commercial-scale clean energy projects, particularly solar, and providing software and services for monitoring and optimizing complex energy systems and microgrids. We are the well-recognized pioneer and leader of the environmental credit market for energy efficiency. Almost every Combined Heat and Power (CHP) plant generating credits today was qualified by the Green Harbor team. Green Harbor provides all the integrated services necessary to monetize environmental credits, develop solar projects, and optimize microgrids.